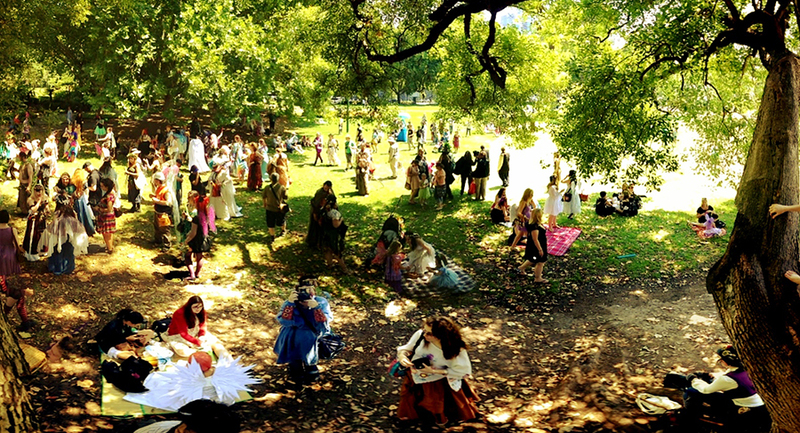 The 2013 Melbourne Midsummer Faerie Rade by Golden Owl Events. The Faerie Queen Elect - Roslyn Quin. Photographer: Rhys Hawley. The 2013 Melbourne Midsummer Faerie Rade by Golden Owl Events. The Faerie King Elect - Paul Fenwick. Photographer: Rhys Hawley. The Processioners begin to gather in the gardens. Photographer: Thomas Elliot 2013.